Casinos strictly enforce rules for all of their table games and craps is no exception. Unfortunately, though, these rules are not posted anywhere. Most players have to learn the dos and don’ts of craps betting by trial and error. Instead of putting yourself at risk for being scolded or kicked out of a casino, keep reading to learn the basic rules of craps. 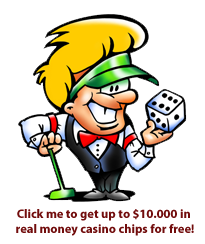 We will cover all of the things you have to do to avoid trouble, including the unwritten rules of craps etiquette that other players will expect you to understand. All of the rules in place at a craps table are designed to help the game flow smoothly, protect the players, and ensure that nobody is cheating. The dealer should be watching everybody’s hands to make sure no players are past posting, stealing chips, or swapping loaded dice into the game. To make their job easier, you are expected to handle the dice in a very specific way. First of all, if you are holding the dice, they should never be pulled back beyond the edge of the table. Also, you should only hold the dice in one hand. If you feel the need to switch the dice from one hand to the next, you should place them on the table in plain sight, and then pick them back up with the other hand. This assures the dealer that you aren’t actually introducing fixed dice to the table. Making bets is essential in craps, but this is an area where technique is important. In the most extreme case, players who try to place a bet after the dice have been rolled are “past posting”. This is a kind of cheating and it is totally illegal. Even for players who aren’t trying to get a dishonest edge, though, it’s important to know how to make your wagers. When you want to make a line bet, a come bet, a field bet, or take odds, you can make the wager yourself. To prevent confusion, just make sure the dealer is paying attention when you put your chips on the layout. For any other kind of wager, put your chips down on the layout and request that the dealer makes the bet for you. A popular bet is the Pass Line Bet, also called the Front-Line Bet, where you lower the house edge. A popular bet while waiting for the point to be rolled or the shooter to crap out is the come bet. The bet with the lowest house edge is the don’t-pass line bet where you are betting on the house to win over the pass-line bettors. The best bet you can place when playing craps is the free odds bet which has zero house edge and helps you reduce the house edge for the pass-line bet. In addition to all of the formal craps rules, there is an unwritten code that you are expected to follow. Respecting the dealer as well as other players is essential. To do this, keep your personal belongings off of the table. Things like drinks and cameras can get in the way of the dice and seriously interfere with the game. Make a point of keeping your possessions, as well as your hands, off of the table and out of the way. Buying in is the one situation that can aggravate players more than any other. Of course, it’s normal for a player who just arrived at the table to have to buy in, but it is best to wait for the right moment. You may find a variety of lulls, but the best time to get into a game of craps is at the end of a round. At this point, everybody is resetting for the next round and you don’t have to worry about interrupting the flow of the game. Of course, there aren’t any formal rules about throwing your cash on the table while the shooter is rolling, but it is certainly not appreciated. Observing superstitions, while not necessary, is always appreciated. You might not personally believe any of these, but try not to ignore them. The most common craps myths focus around the rolling of the dice. If, for instance, a woman is throwing, many players believe she will have more luck than a man. If it is her first time rolling, the effect is supposed to be even greater. Also, dice that collide with stacks of chips are supposed be unlucky, so take care to avoid these when you are the shooter.